This month, the fine folks at Sound on Sight are doing a theme called "Catching Up with a Classic" where contributors post about finally seeing classic films for the first time. My choice was Terrence Malick's debut film Badlands, which I'd been meaning to see for a very long time. It was an interesting viewing. I knew the basic plot but little beyond that part of it, and it was interesting to contract Malick's approach with his recent efforts like The Tree of Life. Since I'm also doing my List of Shame marathon this month, this review fits perfectly with that theme. My original review for Sound on Sight is located here, but I've re-posted the copy below because it corresponds with my current marathon. One of the most recognized films of 2011 was Terrence Malick’s ethereal and captivating The Tree of Life. The only movie that came even close to divided audiences on this scale was Nicolas Winding Refn’s Drive, but even that picture didn’t generate such harsh reactions. Malick’s film isn’t for everyone and charmed many viewers, but general audiences weren’t prepared for its meandering plot. They likely hadn’t seen past Malick films like The New World, which offers a similar approach but on a different scale. His ability to create masterful images is unquestioned, but it sometimes gives a back seat to a coherent story. Watching his debut Badlands for the first time raises an interesting question about Malick’s evolution. 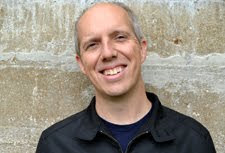 Did he start out as a more narrative filmmaker and adjust his style over the years? Released in 1973, this film presents a small-scale story of a young couple on the run from the law after a killing spree. Adapted from real events, it remains focused on the duo and avoids concentrating on the dead bodies left behind. Kit Carruthers (Martin Sheen) is a 25-year-old garbage collector who doesn’t care much for work. He spends his time wooing Holly Sargis (Sissy Spacek), who’s only 15 but idealizes the handsome guy. When her father violently objects to their relationship, the trigger-happy Kit wastes no time and shoots him. He may seem pretty sedate, but this is one guy you don’t want to antagonize. One of Badlands’ most compelling aspects is the characters’ mundane approach to the murders. Instead of freaking out about her father’s death, Holly seems to care less. The body lies on the floor with minimal response from the couple. Violence means little to them and is just a natural response to any conflict. Kit will shoot anyone who poses an even minor threat to his dominance. The bodies pile up quickly as they cross the country, and they become notorious criminals with little effort. They’re a far cry from the over-the-top antics of Mickey and Mallory from Natural Born Killers, who are just begging the world to make them stars. Kit does create a few audio recordings with his thoughts, but they barely resonate in the movie. Another interesting element is the lack of a real sexual connection between the couple. When they consummate the relationship, their reaction is surprisingly muted for this type of moment. This response does raise questions about why Kit is so interested in using the gun to show his value. Like Warren Beatty’s Clyde Barrow in Arthur Penn’s 1967 film, he might be trying to compensate for other issues. Holly doesn’t seem to mind this gap in their relationship and has a blast just hanging out with him in nature. After burning down her house, they head out in the forest and enjoy an idyllic life apart from society. Kit and Holly seem happy just living separate from the world, but the authorities have other ideas and force them back into the fray. 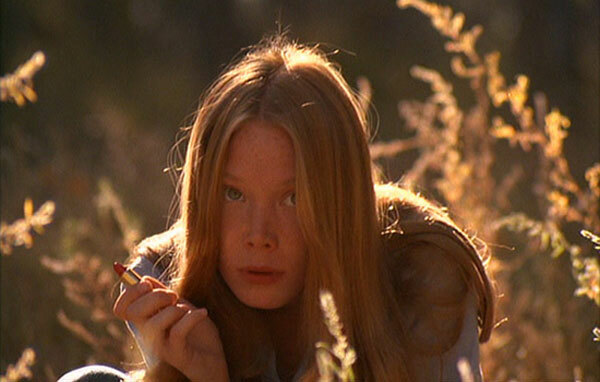 Considering Badlands in the context of Malick’s career, it’s a lot more straightforward than his later pictures. This makes sense given the huge gap between his five features. Malick was only 30 when he directed this movie, and he gained confidence with each subsequent picture. While it might not have the same aplomb, there are still some gorgeous images, especially once Kit and Holly escape the town. The final moments in the wide-open Badlands are stunning. Malick shows the talent that would truly bear fruit in Days of Heaven five years later. It’s a bit less refined but still provides some remarkable shots. His interest in the natural world is present here and would only increase in his upcoming films. Another major difference between this film and Malick’s later work is its shorter length, which covers a brisk 94 minutes. This brevity helps to avoid the self-indulgent moments that are more likely when movies start to near the three-hour mark. However, it also makes the story a little more forgettable in the long run. The nonchalant violence and attractive images are hard to forget, but Kit and Holly’s limited personalities quickly drift away. Her narration connects each of the story’s vignettes and is effective, but it offers a limited perspective on the character. These aren’t very thoughtful people, so it’s tricky to get completely invested in their story. Regardless, Badlands is a stunning debut that should be must-see viewing for any film fan looking to catch up with the past of this renowned filmmaker. Yes, if you go back to this movie, you can definitely tell that it's not nearly as refined or crafted as his next films. Nonetheless, very peculiar and interesting movie. Have you seen Days of Heaven Dan? Castor, I have seen Days of Heaven, and it's my favorite Malick film. It's a gorgeous movie that has a deceptively simple story that works better than any of his other narratives. Have you seen it? If so, what did you think? Yea, I've seen Days of Heaven. My favorite Malick movie as well! He is at his best there IMO. 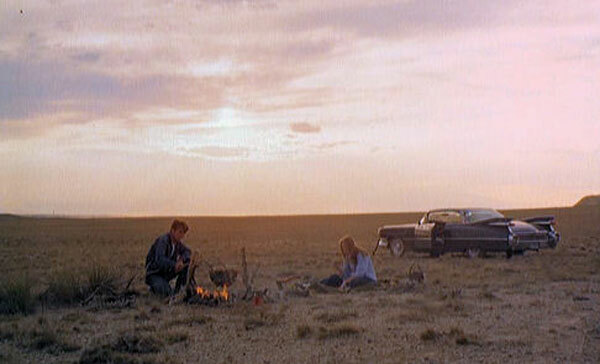 I like BADLANDS, and Malick is a fantastic director. I think DAYS OF HEAVEN is his best film, but this is brilliant also. Tyler, you're correct on both counts. Badlands is a good movie, and Days of Heaven is his best in my opinion. Thanks!